Angela Stranges was elected as a Village Trustee in April of 2011. She serves as Chairman of the Parks and Recreation Committee and is the liaison to the Arts and Special Events Commission and the Keep Elmwood Park Beautiful Committee. Prior to becoming a trustee, Angela served the Elmwood Park Unit School District 401 Board as a member, vice president, and as its president. She was the ﬁrst woman to serve as school board president. Angela is a past member of the Plan, Zoning and Development Commission. A resident since 1976, she attended Oak Park elementary schools and graduated from Elmwood Park High School and Dominican University. She is currently a full time elementary school teacher at Rhodes School in River Grove. 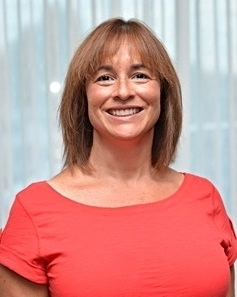 Angela is a member of the Elmwood Park High School Booster Club and Elmwood School Parent Teacher Organization and a former member of the Elm Middle School Parent Teacher Organization. She is also active in the community by volunteering her time at the schools and serving as a lector at St. Celestine's Church .